Thousands of exoplanets, planets orbiting stars other than our own, have now been discovered with a huge range of masses, sizes and orbits from rocky Earth-like planets to large gas giants grazing the surface of their host star. However, the essential nature of these exoplanets remains largely mysterious. There is no known, discernible pattern linking the presence, size, or orbital parameters of a planet to the nature of its parent star. Little is known about whether the chemistry of a planet is linked to its formation environment, or whether the type of host star drives the physics and chemistry of the planet’s birth, and evolution. Progress with these questions demands a large, unbiased survey of exoplanets. The proposed ARIEL mission will conduct such a survey and begin to explore the nature of exoplanet atmospheres and interiors and, through this, the key factors affecting the formation and evolution of planetary systems. how diverse are exoplanets chemically? does chemical diversity correlate with other planetary parameters? how do planets and planetary systems form? how do planets and their atmospheres evolve over time? Initial two year investment of £2.8M, with plans to extend support for full mission delivery, subject to further review. Overall mission science lead: Prof Giovanna Tinetti, UCL, Mission Principal Investigator. Leads mission level science development and heads consortium. University of Cardiff – UK Co-Principal Investigator Prof Matt Griffin, Common Optics & Calibration Source, Science ground segment preparation, Payload Scientist and payload performance simulation. University of Oxford – Optical and calibration ground support equipment. UCL-MSSL – Payload systems engineering support, mechanical ground support equipment. STFC UK Astronomy Technology Centre – Common optics, and detector system engineering lead. Scientific mission leadership roles ensure UK academia is at forefront of exoplanet research as it evolves from discovery to characterisation. Strong commercial interest in synergies between ARIEL detector characterisation work and new ultra-low dark-current mid-infrared detectors led by Cardiff University. Opportunities for UK industry in Active Cooler System development work and payload detector technologies – developing solutions for ARIEL that can be reused in the future for other applications. Significant educational and outreach potential, to attract and develop the next generation of scientists and engineers – the discovery of 2000+ exoplanets in recent years is a major achievement in modern astronomy and resonates strongly with the general public. UK and Ireland from space. Credit: ESA. The incubators, in Buckinghamshire, Hampshire, Leicestershire and London, will provide world-class science innovation support for entrepreneurs and small businesses to help grow the UK space industry. The funding follows the launch of the government’s Industrial Strategy, which includes a £50 million programme to enable new satellite launch services and low gravity spaceflights from UK spaceports, to boost the economy and inspire the next generation of scientists and engineers. “The funding for these new business incubators will see the excellent network of support we have in the UK expand and provide further opportunities for exciting start-ups in the space sector, with 15 incubators working across 22 locations. The funding will see £50,000 go to Oxford Innovation, for two new incubators in Fareham and Bordon in Hampshire, £50,000 for Seraphim to establish a space accelerator in London and £50,000 for the Satellite Applications Catapult at Harwell to establish a space incubator at Westcott, Buckinghamshire. The University of Leicester will receive £50,000 to establish a graduate pre-incubator to help students develop entrepreneurial ideas. The space sector is a UK success story, underpinning industries worth more than £250 billion to the UK economy. Last week Business Secretary Greg Clark launched the Industrial Strategy, which sets out a long-term vision for how Britain can build on its economic strengths, address its productivity performance, embrace technological change and support businesses and workers. A key policy includes driving over £20 billion of investment in innovative and high potential businesses, including through establishing a new £2.5bn Investment Fund, incubated in the British Business Bank. The £50 million space programme builds on the £99 million already invested in the National Satellite Test Facility run by STFC RAL Space at Harwell, which was recommended by the UK Space Facilities Review, a report commissioned by the UK Space Agency to look at ways to help grow the UK space industry. The UK Space Agency has awarded £210,000 of funding for seven new education and outreach activities. The projects are designed to inspire interest in science, technology, engineering and mathematics (STEM) and provide exciting contexts for the teaching of a range of subjects. This will, in turn, help the growth of the space sector, which is currently hampered by the lack of graduates and technicians with relevant qualifications. The MELT project will allow students to understand and analyse key earth observation data relating to the North and South Pole. “The Design and Technology Association are delighted to be working with the UK Space Agency to develop a series of curriculum based resources which will use the design and technology curriculum as a platform to motivate more young people to consider careers in the space industry. More details on each of the projects will be available as they develop their resources and activities. UK teams will lead an international solar-terrestrial and space weather mission, taking on the development of a major science instrument thanks to funding from the UK Space Agency. The £3 million will support academics working on SMILE (the Solar wind Magnetosphere Ionosphere Link Explorer), a European Space Agency (ESA) science mission, being delivered jointly with the Chinese Academy of Sciences and due to launch in 2021. 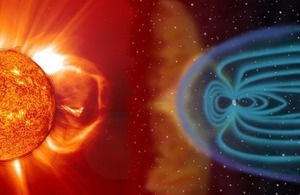 SMILE will address fundamental gaps in knowledge of the solar-terrestrial relationship by providing, for the first time ever, global imaging of the Earth’s magnetosphere and its dynamic response to solar wind – charged particles streaming from the Sun. The magnetosphere is a vast region around our planet that protects us from solar wind and cosmic particle radiation. The Earth’s magnetosphere is the strongest of all the rocky planets in our solar system and its protective role is thought to have played a key role in the Earth’s habitability. SMILE will provide a step change in understanding its behaviour, and will serve a broad range of research communities in which the UK is world leading, including solar, fundamental physics, heliophysics, and planetary sciences. SMILE will also provide crucial improvements to the modelling of space weather, which is recognised in the Government’s National Risk Register as a key disruptive threat to UK national technological infrastructure. “Satellites, power grids and communications networks are integral to our modern lives and through this funding, we are ensuring UK academics continue to lead international research in solar-terrestrial science and space weather. This will help us gain a greater understanding of its causes and behaviour – helping us to better prepare and protect our vital infrastructure from its effects. The UK Space Agency’s £3 million investment package supports three UK academic groups for the next two years, and is planned to be extended to support the mission throughout its development. It will deliver the overall scientific leadership role with Prof Graziella Branduardi-Raymont, from the UCL Mullard Space Science Laboratory, overseeing the European consortium, and the design and build of the mission’s most innovative science instrument, the SXI (Soft X-ray Imager), led by Dr Steven Sembay, from the University of Leicester. Prof Andrew Holland, of the Open University, will also manage the development of the SXI detectors from Teledyne e2v Ltd, a world renowned UK-based provider of cutting edge space technology, which has a separate ESA contract to provide the SXI detectors worth €1.5 million. 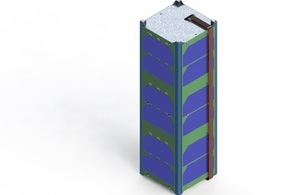 Thales Alenia Space UK (TAS UK) is also bidding for a major role in the provision of the spacecraft’s Payload Module, and has been awarded one of three competitive studies funded by ESA to lead the design definition of this hardware. The UK Space Agency funded academic roles maximise UK science return by combining privileged access to SMILE science data with intimate instrument knowledge. SMILE builds on a very productive legacy of academic collaboration between the UK and China, and will act as a further high profile pillar of cooperation. The UK roles demonstrate our ongoing international leadership and engagement with world-class science and research. Testing is heating up for the Mid-Infrared Instrument (MIRI), the coldest instrument on the James Webb Space Telescope (JWST). The advanced cooler for the instrument (its own refrigerator) is currently undergoing performance testing at the NASA Jet Propulsion Laboratory (JPL) in California. MIRI is one of the key instruments currently being built for NASA’s JWST, which, once it is launched in 2018, will study every phase in the history of our Universe, ranging from the first luminous glows after the Big Bang, to the formation of solar systems capable of supporting life on planets like Earth, to the evolution of our own Solar System. The cooler is very complex and needs components spread throughout the huge telescope to help reduce the temperature of the instrument to a super cold -267degC. The current tests at JPL are using a spare cooler and a prototype MIRI; this was specially adapted by the European MIRI team, including STFC RAL Space, to get a better understanding of how all these components behave when connected together. Engineers from STFC form part of the test team at JPL who are putting the cooler system through its paces to see how it functions. MIRI is an infrared camera and spectrometer and will operate between wavelengths of 5 to 27 microns, a region which is difficult to observe from the ground. 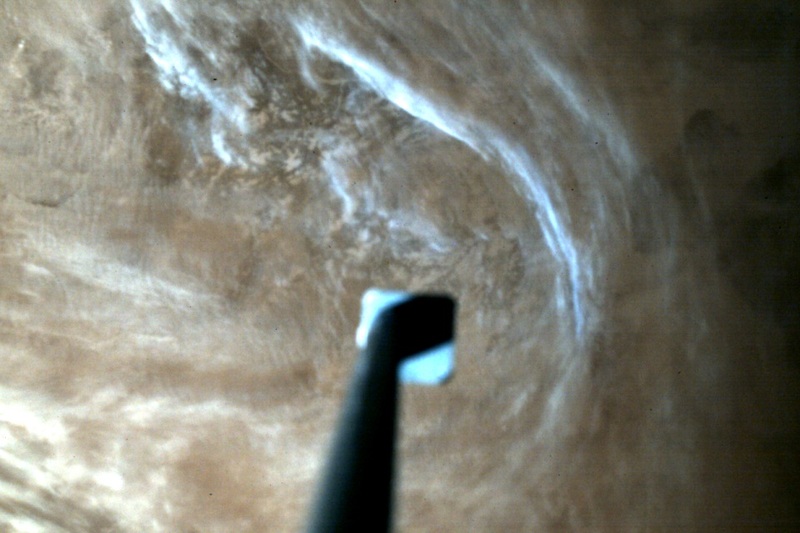 The instrument has several unique advantages; its location in space will remove the blocking and large background noise effects of the atmosphere which limit ground-based telescopes. JWST can be cooled to a very low temperature; this reduces the emission from the telescope and therefore greatly improves its sensitivity. JWST will have a much larger mirror than any other infrared space telescope, giving improved angular resolution. MIRI has been put through its paces with a series of rigorous environmental test campaigns designed to verify performance and functionality and is now undergoing final testing. at Johnson Space Centre in Houston. The UK team and teams from both the US and Europe travel out at different times to work on shifts with the NASA team and the other JWST Science Instrument teams. STFC RAL Space are responsible for the functional testing of MIRI, these are carried out every time the mission completes a test cycle to ensure that MIRI is still working correctly. RAL Space are responsible for the overall thermal design of MIRI and provide support to the test team during cold tests. RAL Space based at STFC’s Rutherford Appleton Laboratory (RAL), carries out an exciting range of world-class space research and technology development. We have significant involvement in over 210 space missions and are at the forefront of UK Space Research. We undertake world-leading space research and technology development, provide space test and ground-based facilities, design and build instruments, analyse and process data and operate S- and X-band ground-station facilities, as well as lead conceptual studies for future missions. We work with space and ground-based groups around the world. 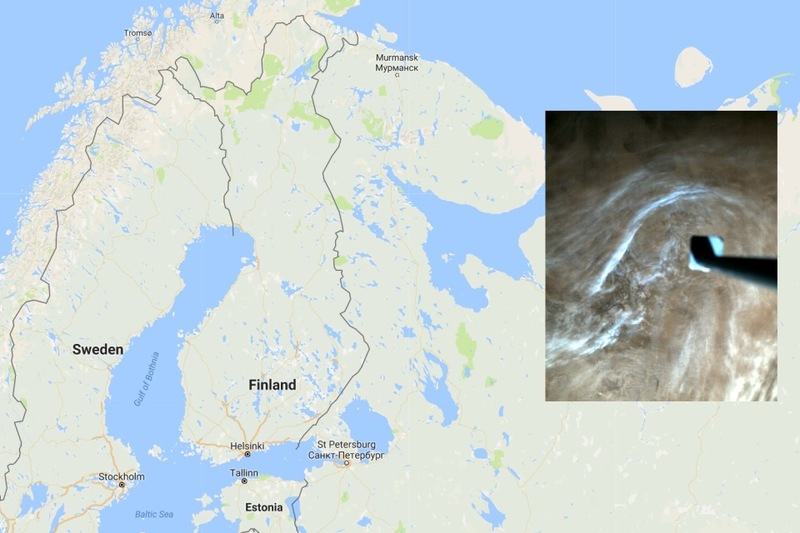 The European Space Agency (ESA) provides Europe’s gateway to space and is an intergovernmental organisation, created in 1975, with the mission to shape the development of Europe’s space capability and ensure that investment in space delivers benefits to the citizens of Europe and the world. 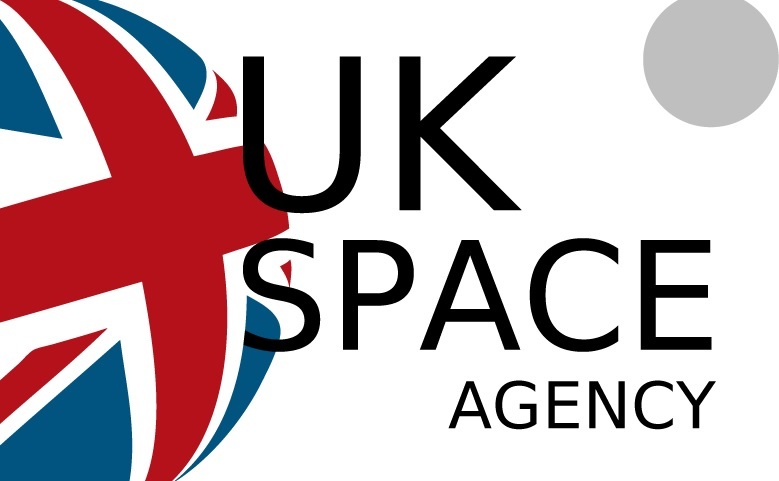 The UK Space Agency has awarded just under £150,000 to three business incubation centres across the UK. 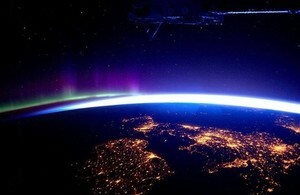 UK pictured from the ISS. Credit: Andre Kuipers/ESA/NASA. These awards will support entrepreneurs and small companies in the space industry. The Agency is working with UK industry to deliver world-class science innovation support, in line with the Government’s Industrial Strategy, which emphasises the importance of science, innovation and skills. The business incubation centres in the Solent, Scotland and the South West of England, will support start-up companies by providing advice and support, giving access to facilities and resources and collaborating on events and initiatives with other business incubators. Just under £50,000 has gone to a joint scheme between the National Oceanography Centre’s Marine Robotics Innovation Centre, in Southampton, and the University of Portsmouth’s Innovation Space. The money will be used to provide an innovation hub in Southampton with world-leading expertise in developing next generation Marine Autonomous Systems and an incubation centre in Portsmouth. In a scheme led by the University of Exeter, the South West Centre of Excellence in Satellite Applications Partnership has received £50,000 to run the SpaceTech Incubation Initiative, which will support start-ups and innovative SME’s to exploit space technology. SpaceTech will be delivered by SETsquared EXETER with high-potential businesses being provided with ‘grow-on’ space at Goonhilly Earth Station, Helston. A further £50,000 has gone to the Scottish Centre of Excellence in Satellite Applications, based at the University of Strathclyde, to work with Tontine in Glasgow, a high-tech acceleration and growth space for new businesses. The money will be used to support new start-up and scale up businesses. The space sector is a UK success story, with growth averaging over 8% a year over the last decade, a turnover in excess of £11 billion a year and ambitious plans to achieve 10% of the global space market by 2030. Much of this growth is anticipated to come from companies using space-derived data or services in a broad range of different sectors. “We are delighted to extend the network of incubators supporting space sector start-ups to cover even more of the UK. “These new business incubators add to the existing network of SETsquared, Leicester Dock, UNIP in Nottingham, Loughborough University, Business Durham, Science and Technology Facilities Council (STFC) at its Daresbury Laboratory site, Glyndwr Innovations in St Asaph, North Wales and the European Space Agency’s business incubator at Harwell. A highly customisable CubeSat camera suite offering three fields of view and innovative on-board software processing capabilities. The payload is also a remote experiment of the OpenSTEM Labs – a suite of remote experiments that supports distance learning students studying science and engineering. C3D2 will offer these students the chance to operate a real payload on an orbiting spacecraft. The payload development is led by the Open University Centre for Electronic Imaging with sensor hardware provided by e2v Ltd and electronics from XCAM Ltd.
A UK company is at the forefront of NASA’s latest Earth observation mission to see inside tropical storms and hurricanes like never before. Surrey Satellite Technology has developed the Space GNSS Receiver Remote Sensing Instrument (SGR-ReSI) for the Cyclone Global Navigation Satellite System (CYGNSS) mission providing scientists with innovative satellite technology. The CYGNSS mission, which launched from Cape Canaveral Air Force Station in Florida on 15 December, is part of a NASA programme to improve extreme weather prediction by studying how tropical cyclones form. CYGNSS will measure ocean surface winds in and near a hurricane’s inner core, including regions previously could not be measured from space. CYGNSS will use both direct and reflected satellite navigation signals to obtain estimates of surface wind speed over the ocean. Surrey Satellite Technology demonstrated the technology for the first time on its UK-DMC mission launched in 2003. It has subsequently developed the SGR-ReSI with sponsorship from the UK Space Agency, Innovate UK and the UK Centre for Earth Observation and Instrumentation and Space Technology. 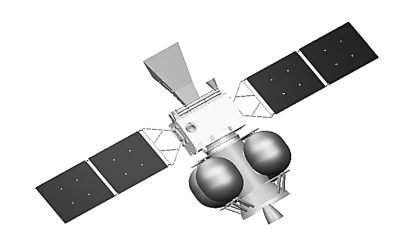 The first flight of the SGR-ReSI is on the UK TechDemoSat-1 mission, with exploitation support from the European Space Agency. The UK is already a world-leader in satellite technology and Earth observation. In September the UK Space Agency unveiled new support to help the UK space sector maintain its leading position in Earth observation, helping to tackle global issues such as deforestation and disaster monitoring. This support included a new £2m joint programme for UK companies and academia to develop innovative technologies to observe the Earth from space. Working together with the University of Leicester, Airbus Defence and Space UK, and RAL Space, the £2m funding from UK Space Agency will support UK companies and academia to develop their technologies and help them gain access to government funding worth up to £10 million. For more information on the UK’s involvement in the mission, check out the SSTL website. A joint cubesat mission between the UK Space Agency and Algerian Space Agency has shipped to India, ready for launch in September. Following an MOU signed in 2015, the two organisations have enhanced collaboration in space programmes. The MoU established a joint educational CubeSat development programme to be delivered by the Surrey Space Centre at the University of Surrey (SSC), for Algerian graduate students. The design, build and verification of the AlSat Nano spacecraft took place at SSC as a hands-on learning exercise for the students, to demonstrate the practical elements of low cost space technology, giving them experience that should help Algeria strengthen its domestic space technology capability. ASAL is providing the launch, and operations will be undertaken by Algerian operators trained in Surrey. During the spacecraft’s commissioning, the operators will make use of the Surrey Satellite Technology Limited (SSTL) ground station in Guildford, with operations transferring to ASAL’s newly developed ground station in Oran. C3D2 – a highly customisable CubeSat camera suite offering three fields of view and innovative on-board software processing capabilities. The payload will also be a remote experiment of the Open Science Laboratory – a suite of remote experiments that supports distance learning students studying science and engineering. C3D2 will offer these students the chance to operate a real payload on an orbiting spacecraft. The payload development is led by the Open University Centre for Electronic Imaging with sensor hardware provided by e2v Ltd and electronics from XCAM Ltd. Thin Film Solar Cell – a novel solar cell structure which is directly layered on cover glass just 1/10th of a millimetre thick. 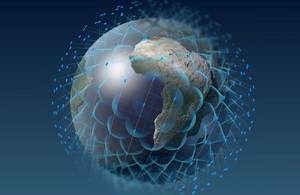 Effects from the space environment will be measured, with the aim of allowing the organisations involved a route to product development and commercial exploitation of this technology. This project is led by the Swansea University Centre for Solar Energy Research with contributions from the University of Surrey, Qioptiq Ltd and Surrey Satellite Technology Ltd.
AstroTube Boom – a retractable CubeSat-compatible boom which should be able to deploy up to 1.5 metres in length from a volume around the size of a business card holder. This technology would enable CubeSats to carry out a greater range of science experiments that require sensors to be held as far away from the spacecraft as possible to reduce interference, and could also form the basis of de-orbit systems for future missions. The payload also carries a magnetometer, one of the most compact of its class, to carry out measurements of the Earth’s magnetic field, and RadFET radiation monitors. The payload is led by Oxford Space Systems Ltd, collaborating with partners including the Science and Technology Facilities Councils RAL Space and Bartington Instruments Ltd.